Samsung's new Tizen-powered Gear S was just announced this past week — we can't wait to see it for ourselves during the IFA trade show in Berlin in a few days — and now we're getting more details on what sort of features it will offer. 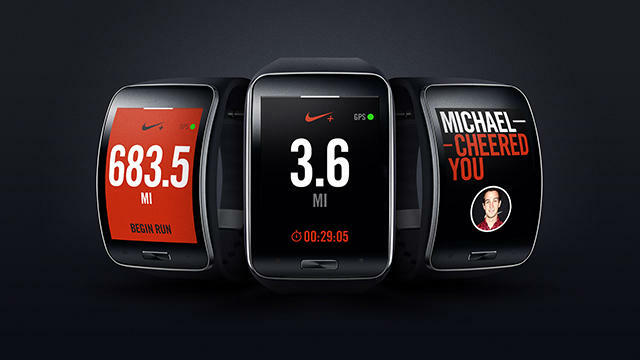 Sure, we already know about the large display and the built-in 3G connectivity, but now Samsung says it has teamed up with Nike for yet another feature. The Gear S will be the first smartwatch not sold by Nike to include the company's Nike+ Running application. Since the Gear S doesn't require a separate smartphone to operate, you won't need to have your own device strapped to your arm or in your pocket while you're out on a jog. The app will show you the distance you've traveled so far, your heart rate, the pace you're running, your NikeFuel points and more. It also has a music player, Samsung said, and takes advantage of the Gear S' built-in GPS sensors. As you work out, your friends can cheer you on from Facebook, a feature we've seen before, and you'll receive notifications right on your wrist. Sounds like a pretty cool app for the watch, and we wonder if it will make its way to Samsung's Android Wear and other Tizen devices, though with the requirement of having a smartphone with you at all times.